The cosmic thinker had some practical advice. 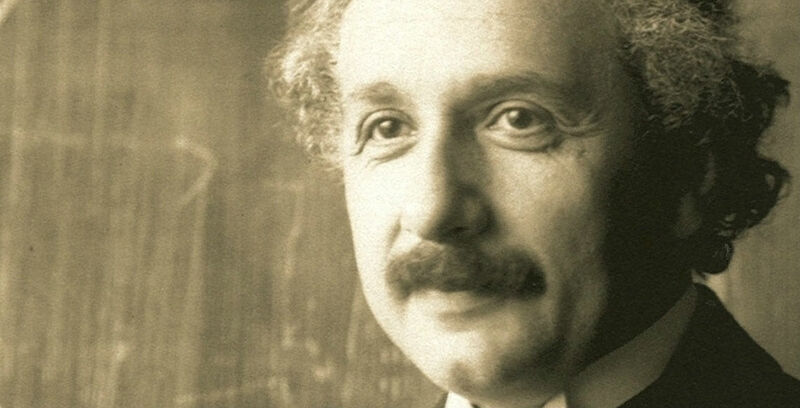 Albert Einstein remade humanity’s understanding of the universe. His physics theories keep getting confirmed by scientists today, most recently in the case of gravitational waves. But when it came to questions of human life, the interstellar thinker was surprisingly grounded. His “theory of happiness,” which he jotted down on hotel stationery as a tip to a bellboy at a hotel in Tokyo in 1922, was all of two sentences. The scientist’s advice is making headlines this week as those papers just fetched $1.56 million at an auction in Israel. It’s easy to see why it would, given how much of an icon Einstein remains to this day. The new National Geographic series dramatizing his life is called “Genius,” after all. You have to love how much the father of modern physics’ prescription for living is a call for contentment. The bit about “constant restlessness” feels especially poignant today, given how much our social media feeds beckon us to scroll down or swipe right. In this way, Einstein is hitting on points made by both Eastern and Western philosophical traditions. Buddhists decry what The Road Home author Ethan Nichtern calls “the commute mentality,” where you’re constantly trudging through the present to finally get to future successes. It’s the perspective of treating life like a subway ride toward some imagined happiness that lies ahead — if only you could get around your actual experience of life in the present moment. Wherever you go, Einstein was saying, there you are.